It's not often that there are coupons or discounts available for Chipotle restaurant, but this week they had a promotion to get a free burrito, bowl, salad or tacos. On Monday, Chipotle stores closed for a company wide meeting on food safety. In association with this event, they offered a Raincheck promotion to customers by sending a text to them for the free burrito. I found out about it from a friend and was lucky enough to get the text in before the cutoff time. They replied today with the coupon for a free burrito! It is pretty impressive that Chipotle has offered such a generous promotion to the customers especially considering how rare it is to get coupons from this restaurant. 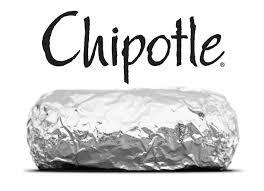 Chipotle has been one of my favorite fast casual restaurants since I discovered it years ago. In fact I even wrote a blog article about the time I contacted them about a location for opening up a new store and they actually followed though with the suggestion! So today for lunch, I went today to pick up the free burrito. It was very busy as expected. I could tell at checkout, many people had this coupon for the free meal. This video from comedian Sebastian Mansicalco came to mind as I was waiting in line. Overall the service was friendly and the food was delicious as always! I don't go to Chipotle as much as I would like because their prices are a bit high, but promotions like this are inspiring to visit there more often! Thanks Chipotle!